CARE is a leading humanitarian organization dedicated to fighting poverty and social injustice with a special emphasis on women and girls. 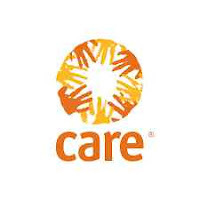 Operating in Tanzania since 1994, CARE Tanzania is part of CARE International, whose vision is to seek a world of hope, tolerance and social justice, where poverty is overcome and people live in dignity and security. CARE Tanzania! and partners contribute to the empowerment of the most marginalized and vulnerable rural women and girls to exercise their rights. CARE Tanzania seeks to recruit the dynamic qualified Tanzanian for the two positions of Partnership Development Officers to be based in Uyui and Sikonge, Tabora. CARE Tanzania is implementing the Tabora Maternal and Newborn Health Initiative (TAMANI) with the ultimate outcome of improving maternal and reproductive health in eight districts of Tabora region. Positive maternal health outcomes will be achieved through improving availability of quality reproductive, maternal and newborn health services, and to increasing utilization of reproductive, maternal, and newborn health services by women and their families. Immediate outcomes for the project include: Strengthened capacity of regional and district health system managers to effectively plan, manage, and deliver quality gender-sensitive reproductive, maternal, and newborn health services; improved’ gender-sensitive reproductive, maternal and newborn health service infrastructure; Improved knowledge and skills of health providers to deliver gender-sensitive reproductive, maternal, and newborn clinical services; Increased access to gender-sensitive reproductive, maternal newborn health services; and Improved ability of women to seek reproductive, maternal and newborn health services. TAMANI is a four-year project which is implemented from January 2017 to June 2021.. The Partnership Development Officers are directly responsible to effectively implement the TAMANI activities at the community level. S/he oversees the proper implementation of the community mobilization component of the program, in collaboration with other team members. The position is also responsible for assisting the program manager in program initiative designing, planning, budget preparation, reporting and learning. Sh/he is responsible for Program Initiative Implementation and Activity Planning and Budgeting, Community Mobilization, Alliance Building and Networking. Sh/he is also responsible for Monitoring, Evaluation and Learning and Reporting. Promote Gender Equality. The PDOs reports directly to the Partnership Development Managers-TAMANI. Bachelor’s degree in community development, social work, education or related field university degree in business management, economics, or relevant field or related field, in: combination with relevant extensive experience, may be accepted in lieu of the Master’s… Desired: Master’s Degree in community development or related field. At least two years of previous work in community development. Practical experience in application of participatory approaches and tools. Skills and experience in building partnership and commitment to program initiative’s objectives. Experience in implementing community BCC activities. Solid report-writing skills Firm belief in teamwork, gender equality, sensitivity to HIV/AIDS and participatory approach and sustainable development. Ability to work with minimal supervision and adaptability in the rural community. Only a letter of application and CV without supporting documents such as certificates should be sent by email to Human Resources Department [email protected] by COB, 12 April 2019 at 1700hrs. CARE is an equal opportunity employer promoting gender, equity, and diversity. Female candidates are strongly encouraged to apply. Our selection process reflects our commitment to the protection of children from abuse.